Lukaku has missed training this week after picking up an ankle injury in Belgium's 5-2 victory over Tunisia last Saturday, and he has since had scans to discover the extent of the injury. Speaking in his prematch news conference on Wednesday, Martinez said the results from the scans had been positive for the long term, but he fears Belgium's all-time top goal scorer might have to sit out the England encounter. "From the scan, there was no further damage, but it is still uncomfortable," Martinez said. "I don't think he will be training today, and we will make a final assessment tonight. "At the moment, he is still in the recovery phase and had a difficult knock against Tunisia, but probably tomorrow is one day too early. I don't think it is going to take any longer than that." Martinez also said that his team would be looking to perform well against Gareth Southgate's squad in their group-stage finale, but that winning the match was not the goal on Thursday. "The priority is not to win," Martinez said. "The reality is we put ourselves in this situation we wanted to qualify, and we have done that. "There are players with yellow cards, and I don't think it would be professional for us to put those players in a risk to miss the knockout phase. "It is very important for us to protect and give every player the best possible programme to be in the best condition in the knockout game." Martinez had earlier suggested he was prepared to make wholesale changes to his side and at the very least was expected to rest defender Jan Vertonghen, winger Thomas Meunier and midfielder Kevin De Bruyne, who have all picked up a yellow card. A second yellow would mean they would be suspended for the round-of-16 game. Martinez did reveal that goalkeeper Thibaut Courtois would play against England. The rest would be decided three hours before the whistle. "I don't think changing the goalkeeper is an option," Martinez explained. 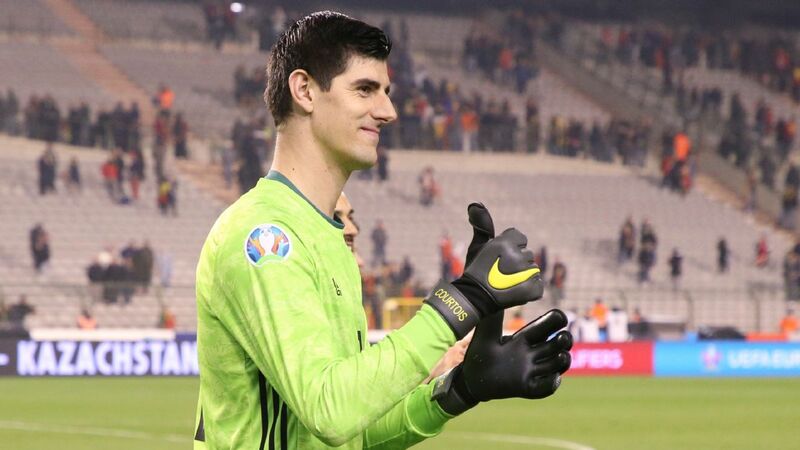 "Thibaut Courtois has been at a very good level, and I think it is positive for him to carry on playing, so I can guarantee you he will start tomorrow." While Martinez preferred to keep his cards close to his chest, the Belgium coach maintained his full confidence in every player on his bench, adding that each deserved an opportunity. "I believe in every player on this squad, so it would be quite stupid for me not to believe in these players for tomorrow," Martinez declared. "They have earned the right to start in a World Cup, and I believe we are going to be as good as the contribution of the 23 players, so tomorrow is a good opportunity for us as a team." Both Belgium and England have already qualified for the last 16, with the winner to top the group. A draw would mean the order of their finish would be decided by the fair play table -- and if still level, a drawing of lots.